Based on morphology, I’ve never gotten why this group of species is considered a genus separate from Acyrthosiphon. A Microlophium fundatrix from the interesting habitat of Douglas Canyon in central Washington in April. 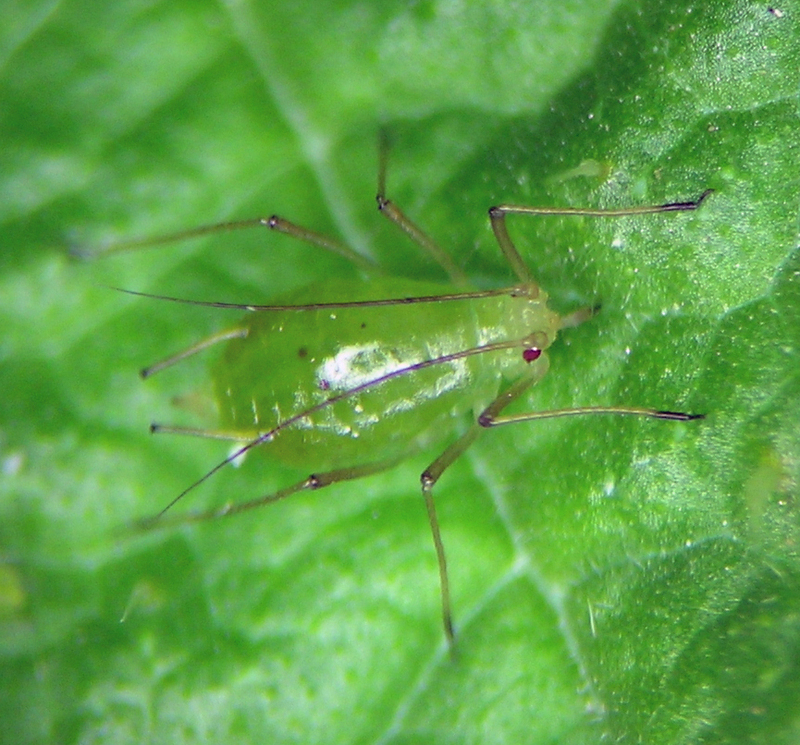 However, the fact that its species are associated with Urtica (stinging nettle) all around the northern hemisphere implies that it probably represents a single lineage. If better characters were available, or DNA sequences examined, perhaps it would be clear that recognition of this small genus would be supported. I have what appears to be two species in my collection, Microlophium carnosum (Buckton) (from western Washington) and Microlophium sibiricum (Mordvilko) (from Washington, Idaho, and New Mexico).